#210 – Happy Valentine’s Day! 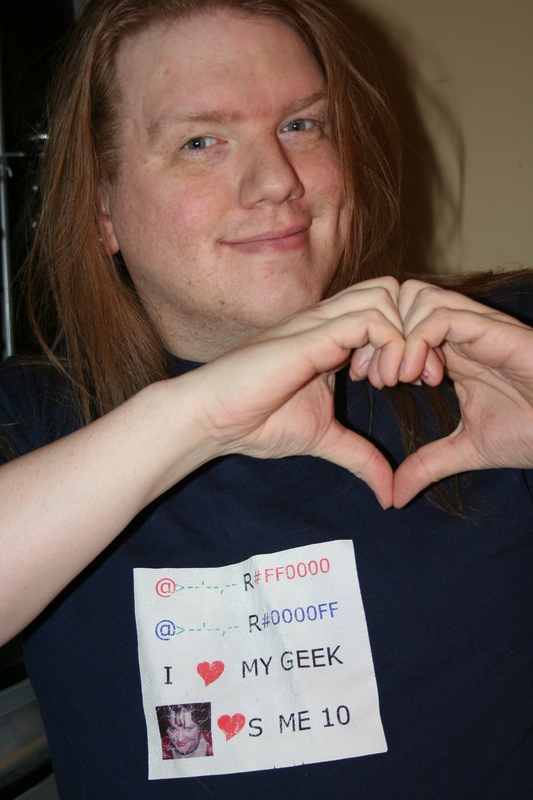 I love my geek, and she loves me, too! I made this for Skotte several years ago. (You can tell by the worn out tshirt transfer.) I think Skotte was pleased! We took an unscheduled break. But we’re back!